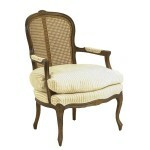 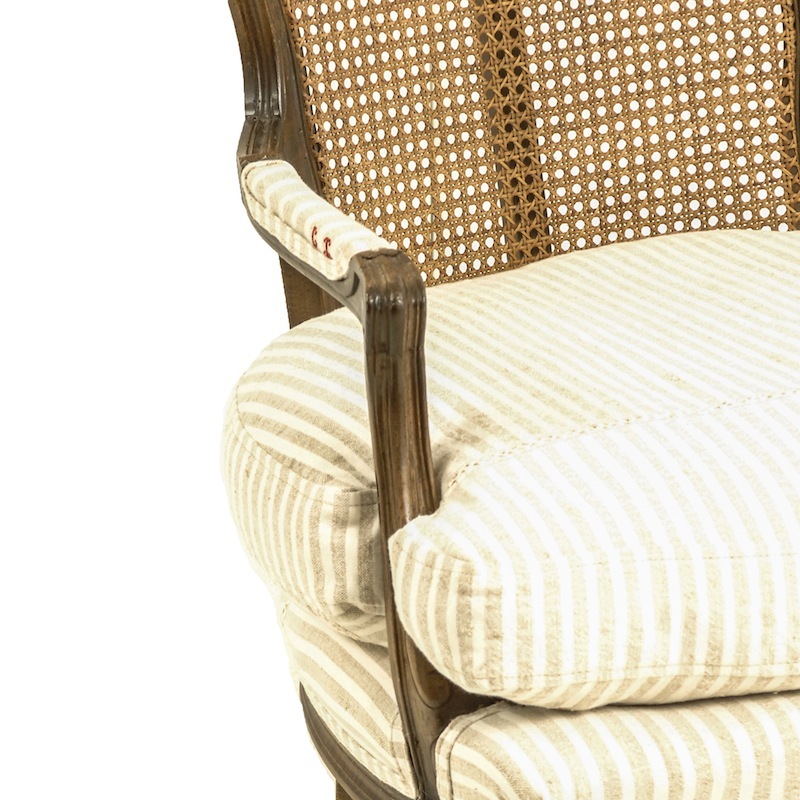 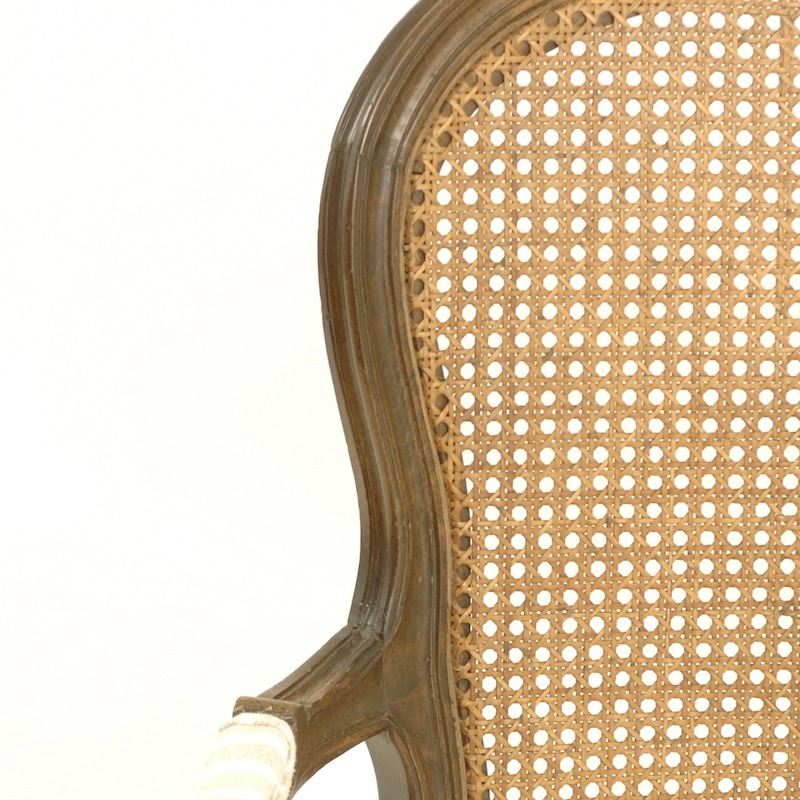 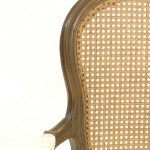 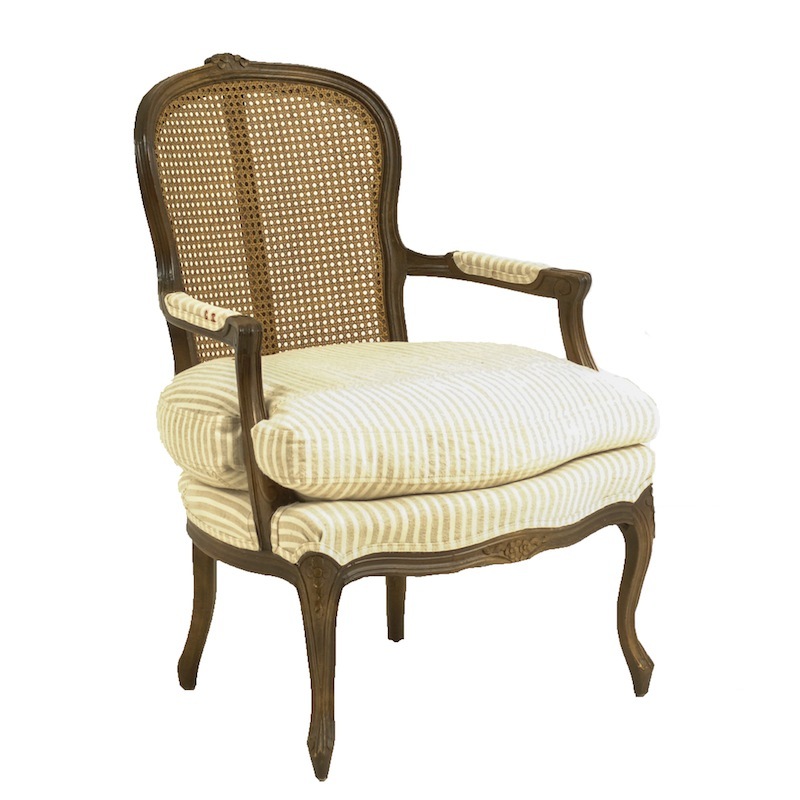 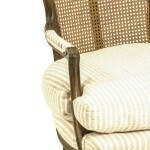 Cane-back chair with upholstered beige striped cushion. 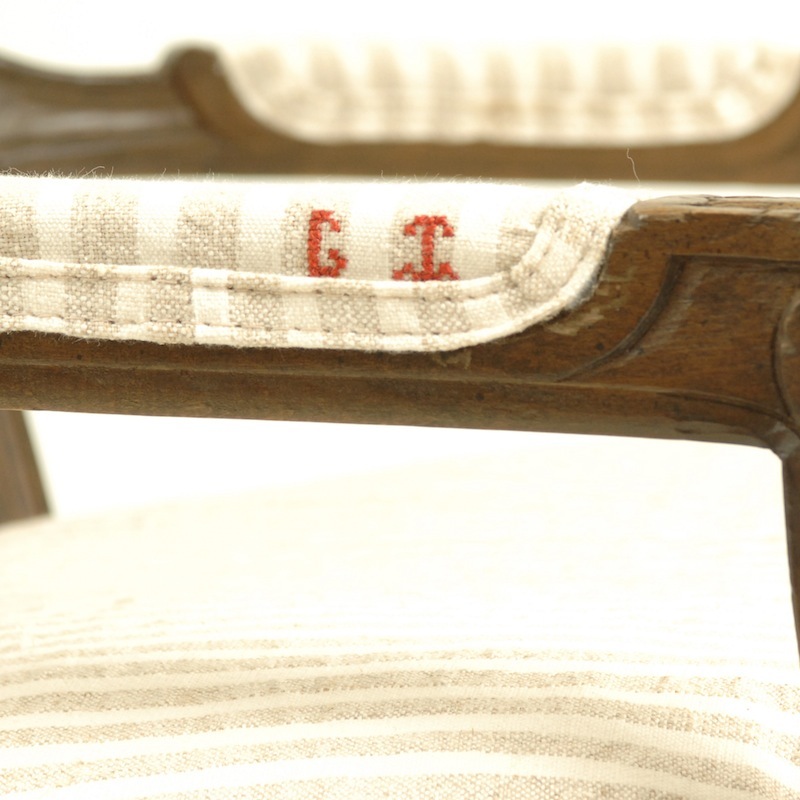 Initials G.I. 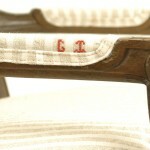 appear on the arm in red embroidery.